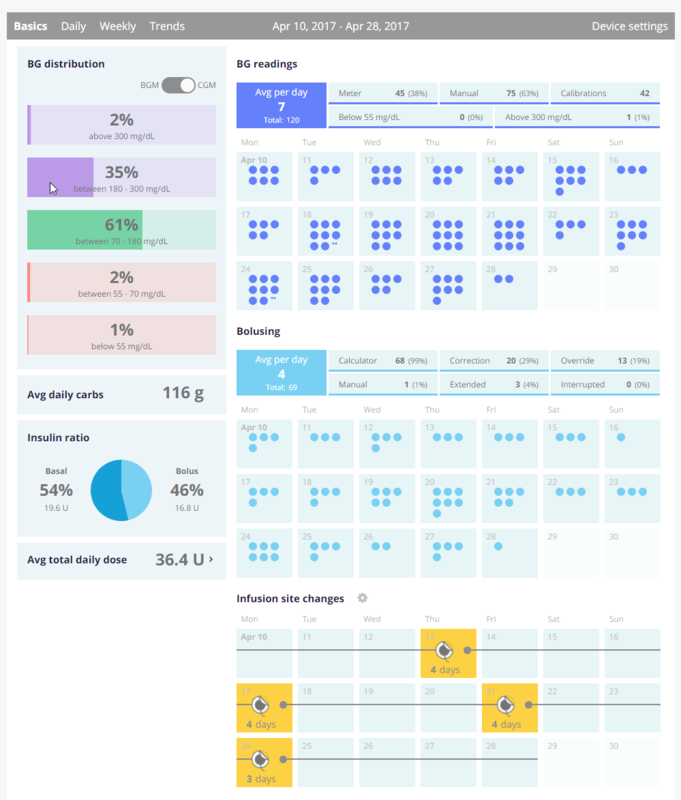 Animas, Medtronic and Tandem users can choose whether cannula fill or tube prime events indicate a site change. For Omnipodders, it defaults to pod changes. Some users will change sites without changing their cartridge or tubing. 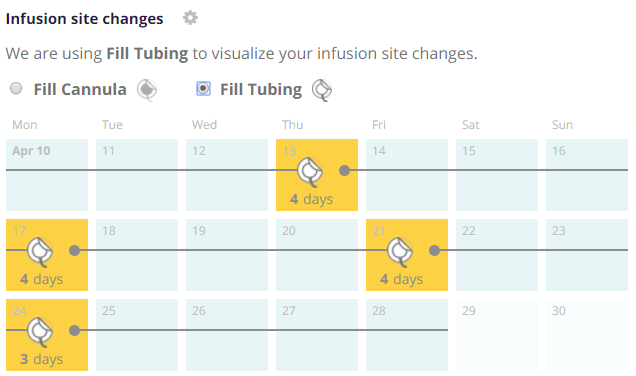 Now, users can choose between Fill Cannula and Fill Tubing events to indicates site changes in the Basics View. The site change indicator can only be selected by the account owner. It cannot be changed by a Care Team member or by the clinic after the patient has claimed the account. 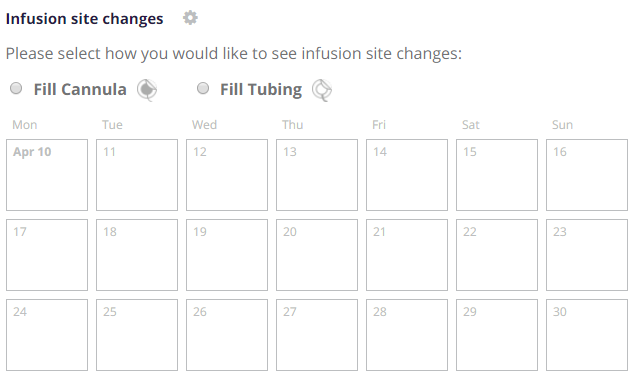 Navigate to the Infusion site changes section: If a site change indication has not yet been chosen, then you will see this section grayed-out until you choose one of the options. You can choose either "Fill Cannula" or "Fill Tubing" events to indicate your site changes. You might pick "Fill Cannula" if you have multiple sites without changing your cartridge or tubing. You might prefer "Fill Tubing" if you change your tubing each time you change your site. Change your mind? You can go back to the other indicator at any time! If this is a patient account created in the clinic, you will have the ability to toggle this setting via your Clinic Account until the patient claims the account. Once they have claimed it, you will see which option they have selected, but will be unable to change it and must ask the patient to change it.